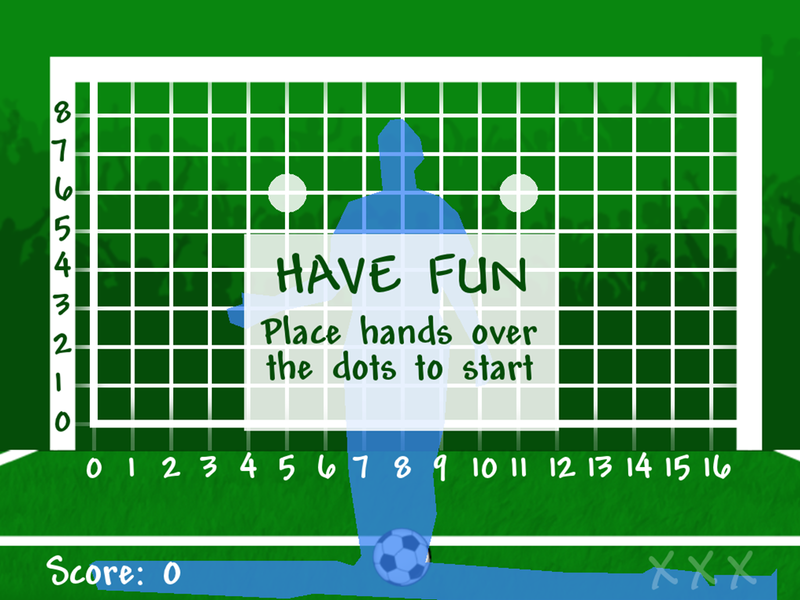 The start screen. 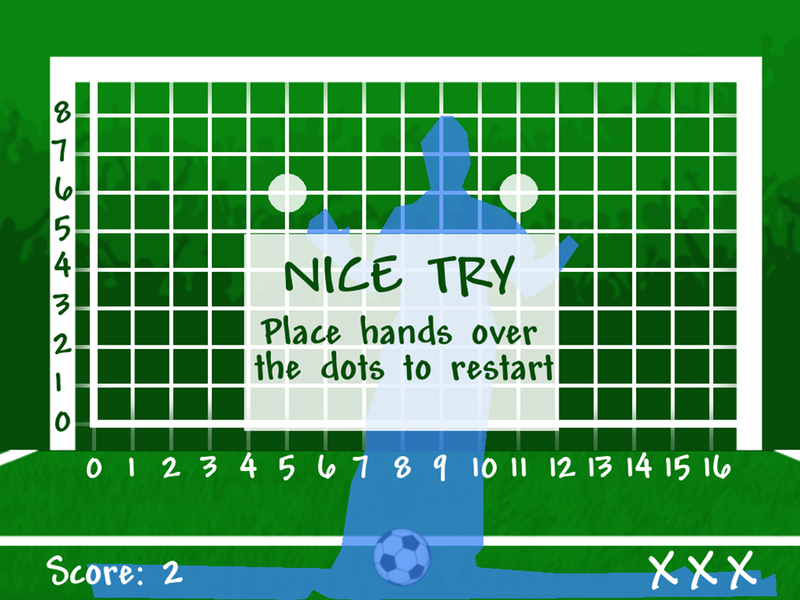 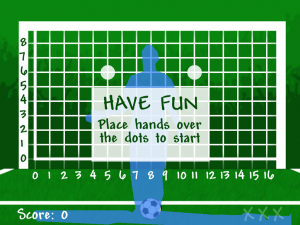 The game is started by placing both hands over the white circles. 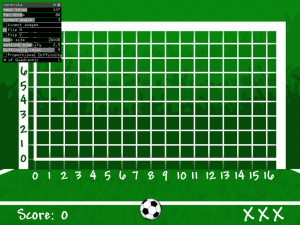 A point is displayed on the screen that tells the user where the shot will be. 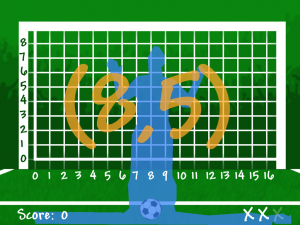 Depending on the difficulty setting, the player will have between 1 and 10 seconds to move to the correct location before the shot occurs. 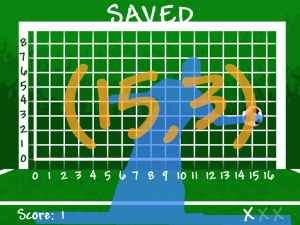 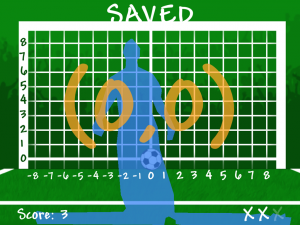 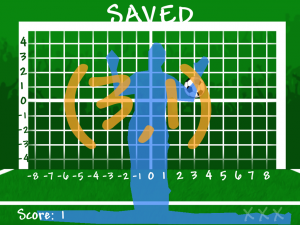 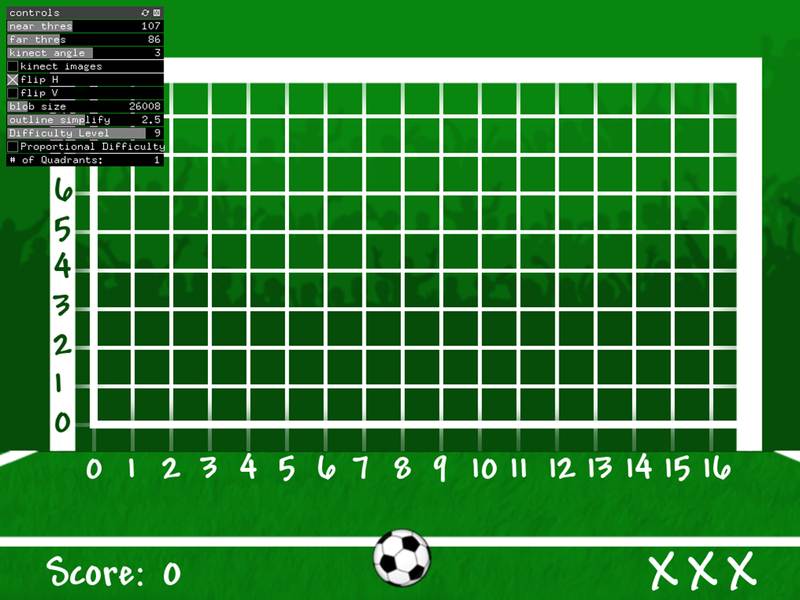 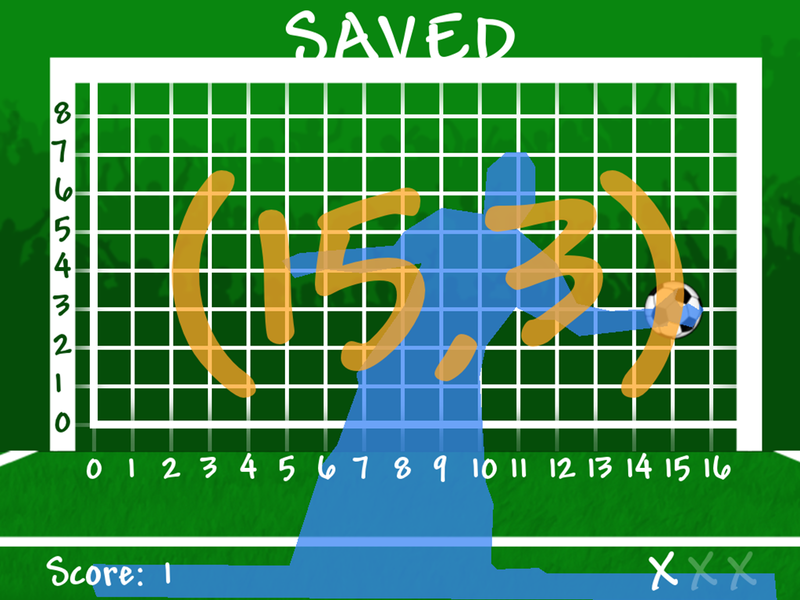 If the player correctly moves to the displayed point in the allotted time, it will result in a saved shot. 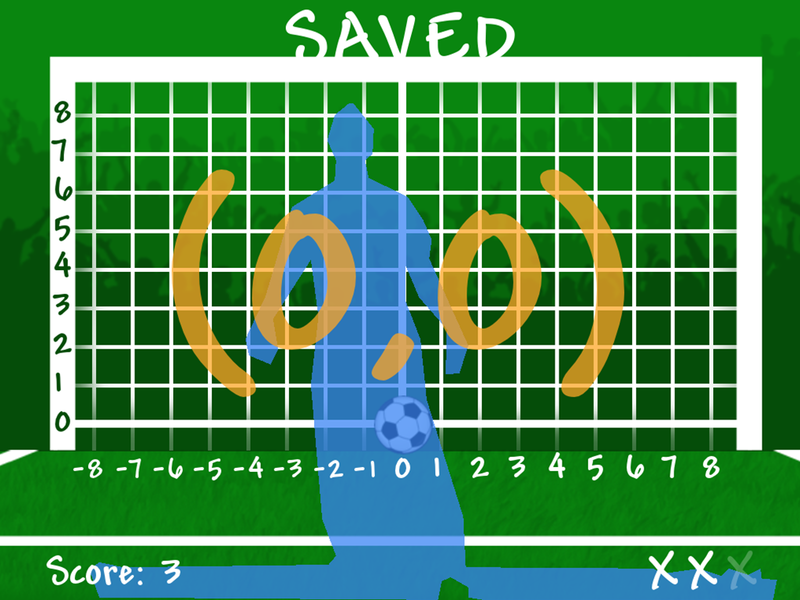 The crowd cheers when a shot is saved and the score goes up by 1. 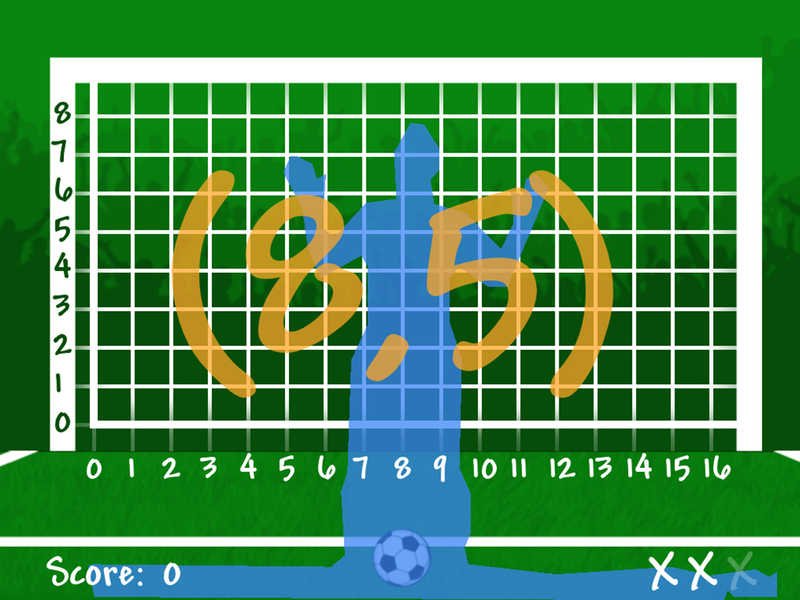 If the player does not correctly move to the displayed point, it will result in a missed shot. 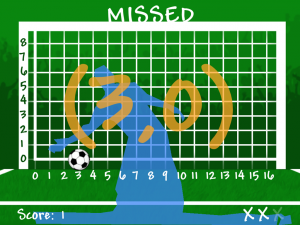 The crowd sighs when a shot is missed. 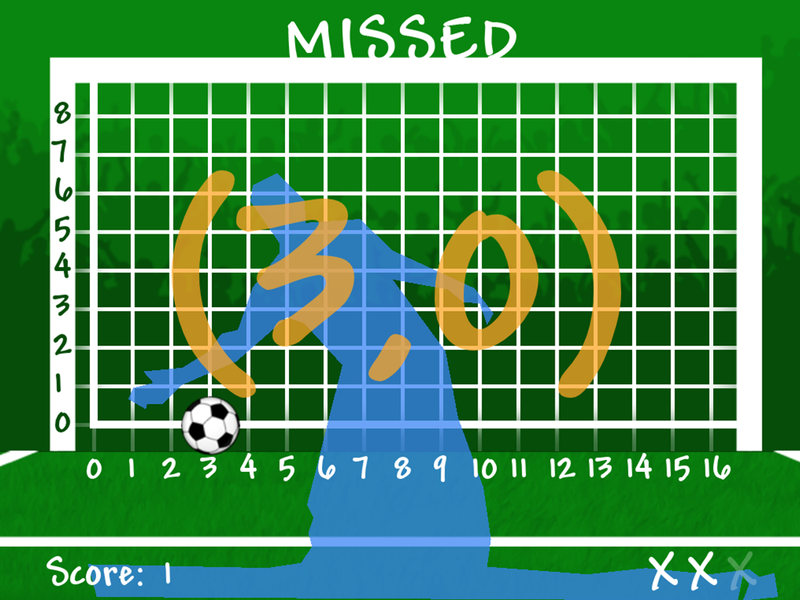 After 3 missed shots, the game will end. 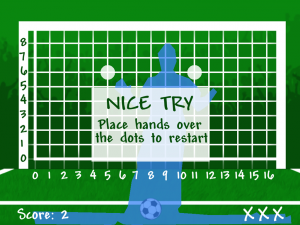 The game is restarted the same way that the game is started initially by placing your hands over the two white circles.